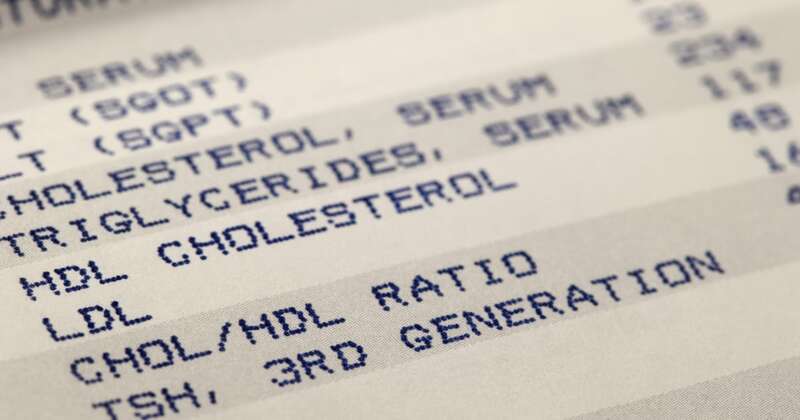 A new type of cholesterol-fighting drug was well-tolerated by patients and led to “significantly lower” levels of LDL — the harmful type of cholesterol — during a year-long trial, researchers reported Wednesday. Bempedoic acid, taken as a daily pill, could be an option for people who can’t bring their LDL levels low enough with statin therapy alone, or who don’t tolerate statins because of side effects such as muscle pain. After three months of taking the new drug on top of statins, patients saw their LDL levels drop by an average of 18 percent compared to people taking a placebo, according the study published in The New England Journal of Medicine. The trial was funded by Esperion Therapeutics, a pharmaceutical company that’s seeking approval from the Food and Drug Administration to make the drug available in the U.S.
Bempedoic acid works in the same pathways as statins, but at a different site, said cardiologist Dr. Kausik Ray, the study’s lead author and a professor in the Imperial College London’s School of Public Health. It blocks a key enzyme the body uses to make cholesterol. “We’ve got a number of different studies now that have shown that it looks to be yet another really good option. Doctors like options because patients don’t fit one size, so it gives us an option for people with an unmet need,” Ray told NBC News. Low-density lipoprotein, or LDL, contributes to fatty buildups in the arteries, raising the risk of heart attack and stroke. About 71 million American adults have high LDL, according to the Centers for Disease Control and Prevention. Heart disease is the leading cause of death for both men and women in the U.S. and lowering LDL cholesterol has become a cornerstone of heart health. When diet and exercise don’t work, statins — drugs that interfere with the production of cholesterol — can be the simplest and cheapest treatment. Known under brand names such as Lipitor, Zocor and Crestor, they’ve become among the most widely prescribed drugs in the world. But 10-15 percent of patients report side effects, most commonly muscle pain, weakness and cramps. Many people simply stop taking the pills. The new drug — once converted into its active form in the liver — can’t leave the liver cells, so it can’t enter muscles, making muscle-related side effects less likely, Ray said. A good candidate for this medication would be someone who has high risk for heart disease and still has high LDL despite taking the highest dose of a statin he or she can tolerate, noted Dr. Christie Mitchell Ballantyne, chief of cardiology at Baylor College of Medicine in Houston, Texas. The trial involved 2,230 people — mostly white men — who were on average 66 years old and had a mean LDL cholesterol level of about 103 at the start. More than 97 percent had a history of atherosclerotic cardiovascular disease. Two-thirds of the patients were assigned to receive bempedoic acid and the rest swallowed a placebo. All continued the highest intensity statin regimen they could tolerate. “The main reason for doing this is that when you work through the same pathways, there’s always the question: If you’re going to add it on top of a statin, have you maxed the system out, or do you get any further incremental gain?” Ray noted. The answer seems to be yes. Most people taking the new drug saw their LDL cholesterol level drop — by about 19 milligrams per deciliter on average — with the effects still apparent one year into the trial. The new drug was tolerated as well as the placebo, though there was a small increase in new cases of gout. Jack Manley, 71, of Pearland, Texas, has been taking Lipitor for years for his high cholesterol, but he experienced severe leg cramps as a side effect from the statin. “I needed a relief from the leg cramps because it was constant,” said Manley, a stroke survivor. His dosage of Lipitor was lowered, but it didn’t bring his cholesterol numbers down to where his doctors wanted them to be. After trying the newest drug in the trial, his cholesterol dropped and he didn’t experience any side effects. “Hopefully, it’ll be an affordable medicine that will keep my cholesterol in the range that it needs to be,” Manley said. It’s not known how much bempedoic acid would cost if approved for the U.S. market, but it would likely be less expensive than PCSK9 inhibitors — injectable cholesterol-lowering drugs that are potent, but can cost thousands of dollars a year, Ray said. Besides providing a boost to statins, bempedoic acid could be taken on its own or in combination with ezetimibe (known under the brand name Zetia), a medication that prevents the absorption of cholesterol in the intestine, he added. An ongoing trial is testing even longer-term safety and whether the new drug has an effect on heart disease. Previous medicines have shown promise in improving cholesterol numbers only to fail at actually reducing the number of heart attacks and strokes. October 17, 2018 Comments Off on Is the EU really united over Brexit?